Phonepe Refer & Earn: Hello there Phonepe and the Tez is the Best online free Cash Earning App Without Doing any Spent or App Downloads. 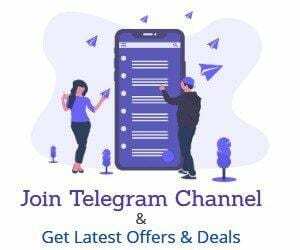 Phonepe always offer many loots and one of them is Signup and Referral Offer. Phonepe Offers Rs.100 big Cashback on First UPI Txn of any amount (Which you can even Send to Your self) and Rs.50 cashback on 5th Transaction. You will Get Rs.200 Cashback on Referring Your Friends. 2. Now Install and Open the App and Complete the signup Process. 6. Once SMS Sent You can See You Account and link it. 8. Once You Send Rs. (any)you will get Rs.100 in Your Phonepe Wallet. 11. So total You have Got Rs.100 on Signup =125 Cashback. 2. Copy Your Referral link and get your link from here. 3.now share this link with your friends.for each friend you will get rs.100 cashback in the Phonepe wallet. 4. You can earn unlimited by the phonepe refer and earn. When a user makes a money transfer using UPI for the first time, the user gets 50% cashback (up to ₹100), and for the user’s fifth ever money transfer using UPI, the user gets 50% cashback (up to ₹50). Can I join in your company .if you agree then I will work for bigtricks.tq you sir for suggesting in whatsapp.